Well along with the recent summer weather, the "new signs" of Summer are here in Bedford. 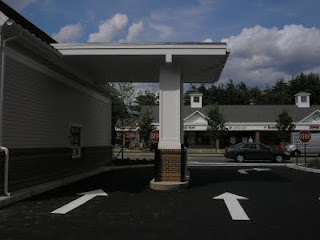 First, Bedford Car Wash at 345 Great Road got a $20,000 exterior renovation, replacing the canopy with a new facade to the front. 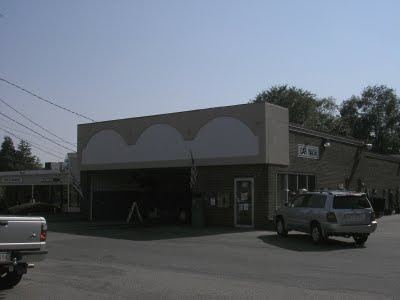 The new facade at Bedford Car Wash. A new sign will be going up soon. 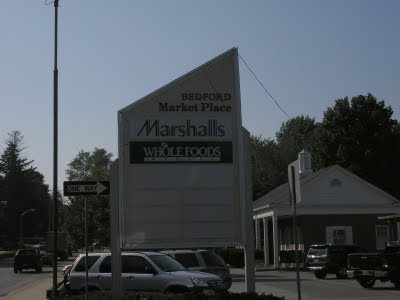 Second, Bedford Shopping Center got a new sign and is now rebranded Bedford Marketplace. 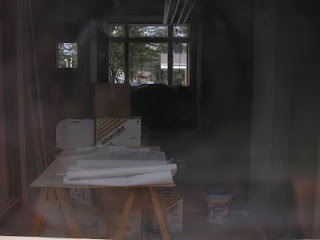 Renovations are still on hold due to the economy. According to Salvatore Capital Partners, they do plan to start the renovation once the economy improves for retail tenants. 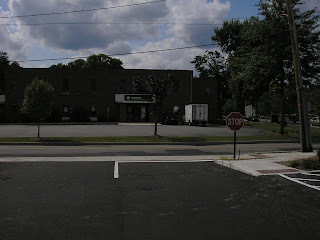 The new sign has space for all the stores. 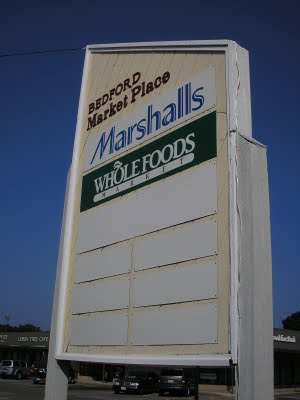 The old sign only listed the anchor stores Marshalls and Whole Foods. 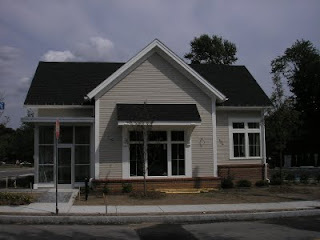 Third, Depot Park (aka the Bedford end of the Minuteman Bikeway) finally got a sorely needed Kiosk. 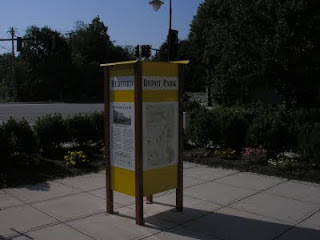 The new Kiosk is located in the center of Bedford Depot park and contains maps and information about the surrounding area. The Kiosk also has a Video Monitor that can be used to show historical information. 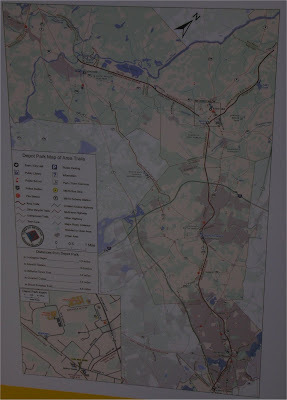 Along with the Minuteman Bikeway and Depot Park area, the map also shows the Reformatory Branch and Narrow Gauge Rail Trails as well as other nearby trails. Please click on the image for a larger view. 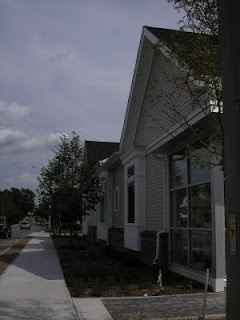 While a think all the changes are an improvement, I think the biggest one is the addition of the Kiosk. This new Kiosk will encourage bikers and walkers to do some additional exploring and might even benefit some of the local retailers. 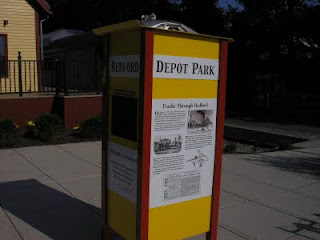 I am wondering if any of the Bedford restaurants would be interested in advertising and getting listed on the Depot Park Insert on the map.